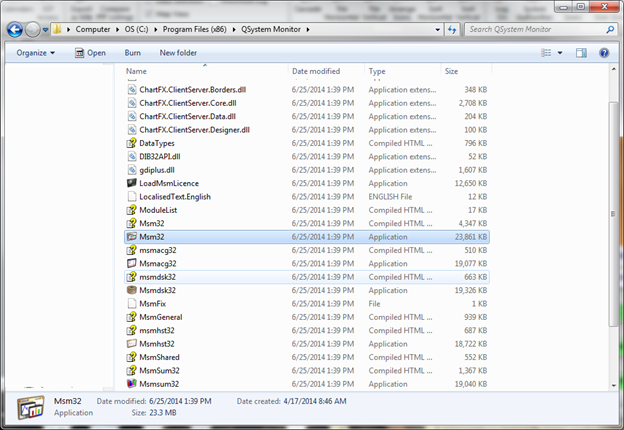 Locate the Msm32 application icon, right-click it, and select Create Shortcut. After you have the shortcut created, right-click and rename it to the name of one of your systems. Then, repeat the process for the other system. You can then move these shortcuts to your desktop, if you wish. Repeat this process for the second shortcut, specifying –h:HOSTB, where HOSTB is the name of the second host system. When you click the shortcuts, it starts a session to the respected host system. You need to make sure that you have the host configured (you should have already done this). You can now have both host sessions running at the same time. 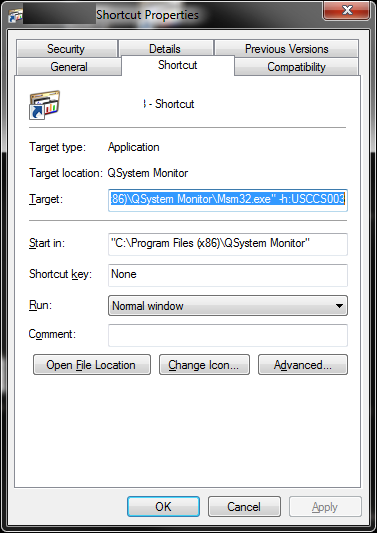 Here you create shortcuts for the MM32 application similar to the steps for QSystem Monitor above. 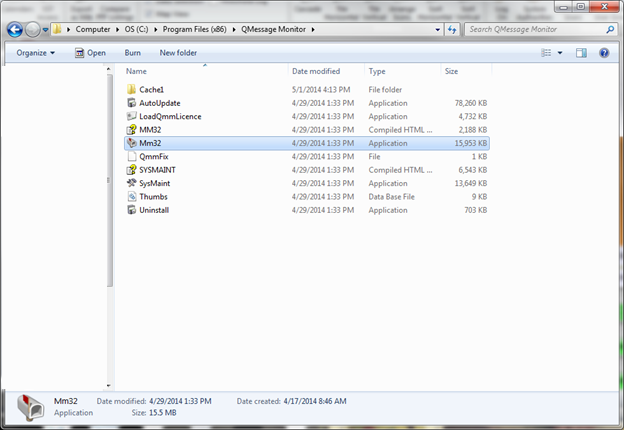 Once created, rename them so they're unique and then change the properties to add the –h:HOSTA and –h:HOSTB commands, in the same way as for QSystem Monitor above.